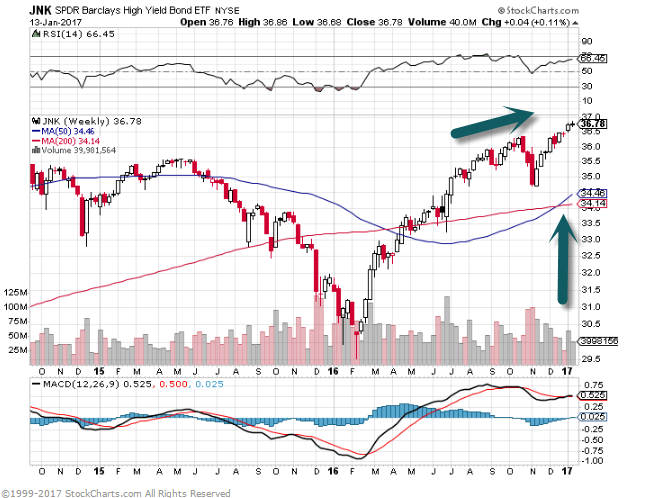 1.Junk Bond ETF Makes New Highs in 2017…$434 Billion of maturing junk paper must be refinanced in next 2 years. 2.Interesting Look at Valuations…Need Earnings Growth. Priest: There are only three components of equity returns: dividends, earnings, and price/earnings ratios. 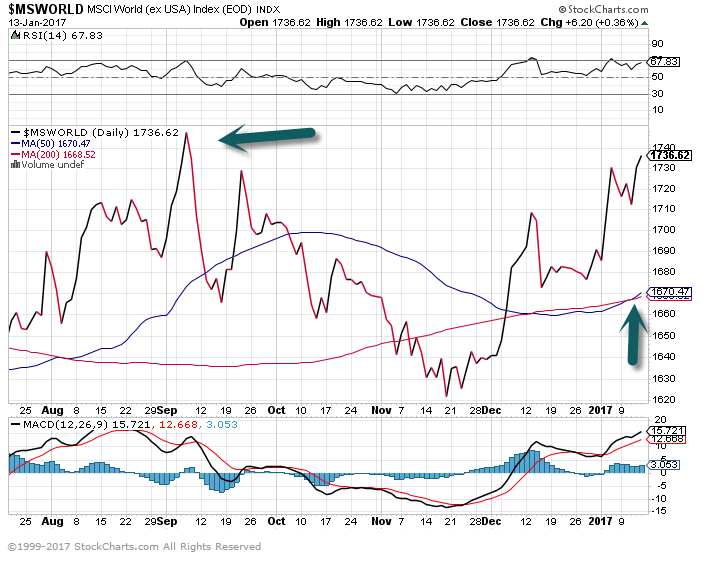 In the past five years, the MSCI World Index was up 87%. Of that 87%, 74 percentage points came from P/E-multiple expansion. Earnings were down two percentage points, and dividends were up roughly 15 percentage points. The market was up because quantitative easing [central banks’ asset-buying programs] effectively lowered the discount rate applied to earnings and cash flow. It had a profound impact. The election was an inflection point, as we can see from the postelection rise in bond yields. P/E ratios now face a serious head wind. It can be overcome with accelerated earnings growth, and tax reform will be a part of that, if it happens. Also, dividends are going to grow, probably faster than people think. 3.One Country is Taking Donald Trump Very Serious….Mexico. 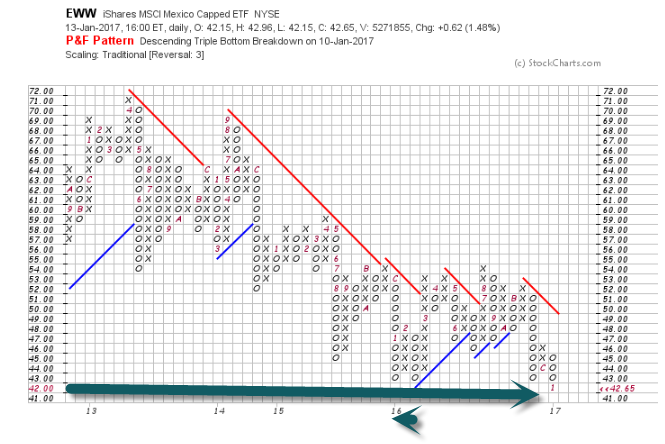 EWW Mexican ETF Hits 5 Year Lows. 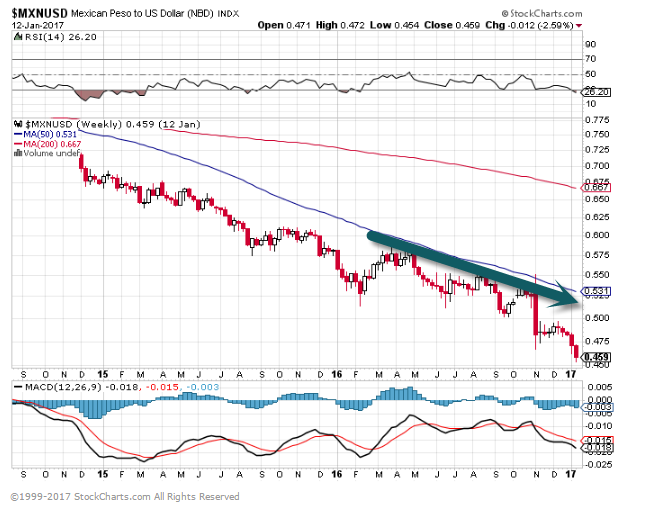 This chart is showing the Mexican Peso vs. U.S. Dollar…New lows…Gap down after election. Below is one of the many charts included in this week’s Sector Snapshot, which simply highlights the year-to-date returns so far for the major S&P 500 sectors. 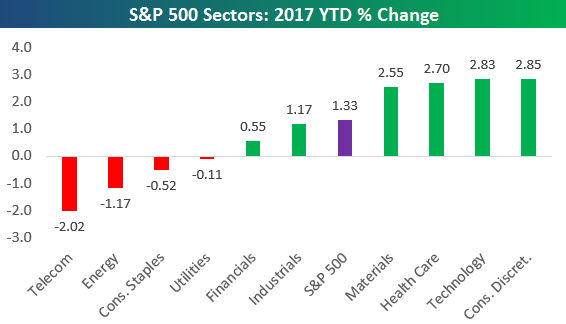 As shown, even though the broad S&P 500 is up 1.33% on the year, there are four sectors currently in the red: Telecom, Energy, Consumer Staples, and Utilities. Similar readings in January 2010, October 2011 and March 2012: The market corrections then were -12% -9% and -21%: an average of -14%. 6.Barrons Insider Transaction Ratio Bearish-Short-Term Indicator. 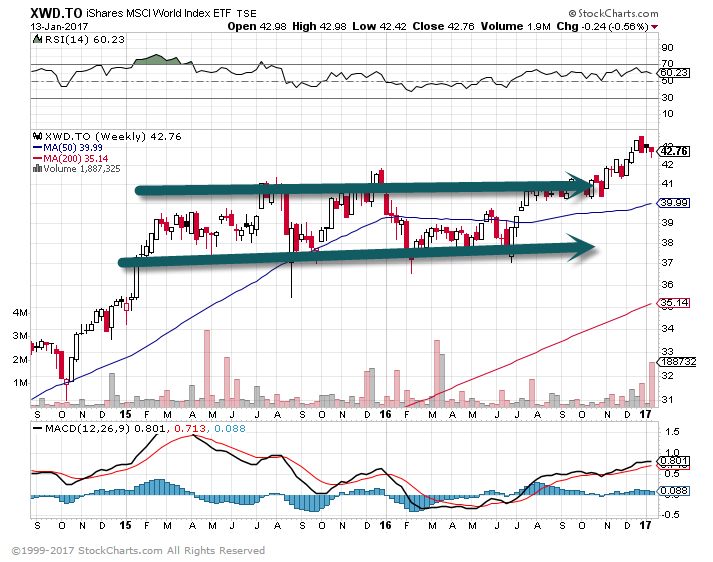 Above 20 is bearish…29 last. 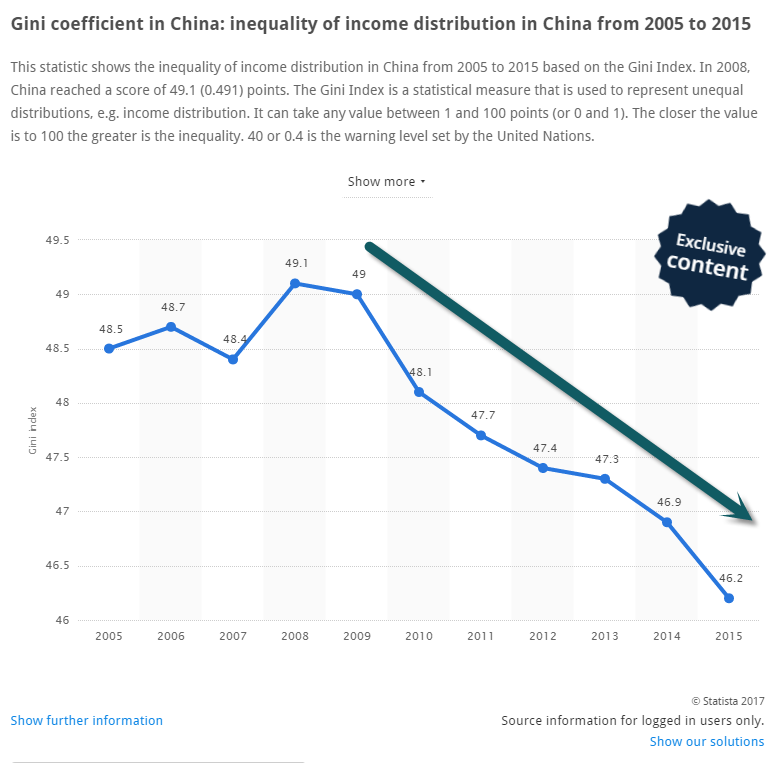 7.Post 2008 China Started Taking on Massive Debt to Keep the Economy Rolling….Income Inequality Spiked. 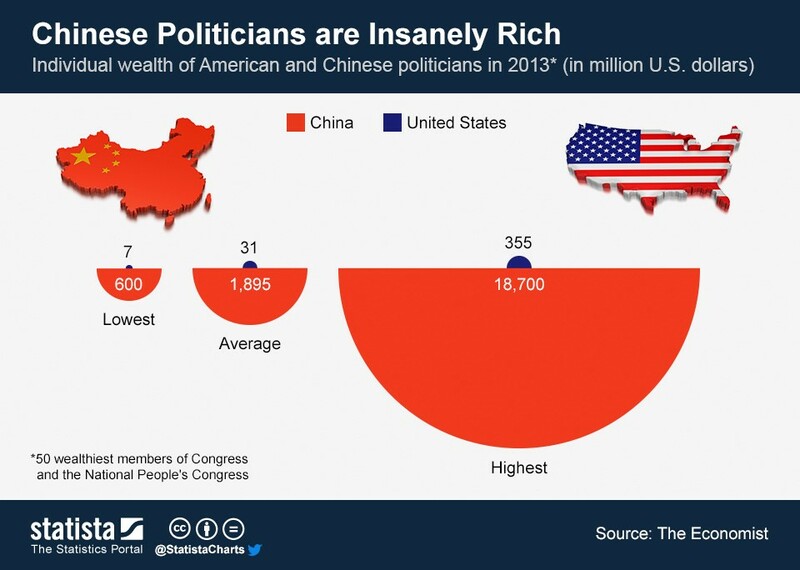 Wealthy Chinese are now looking to invest outside the country. 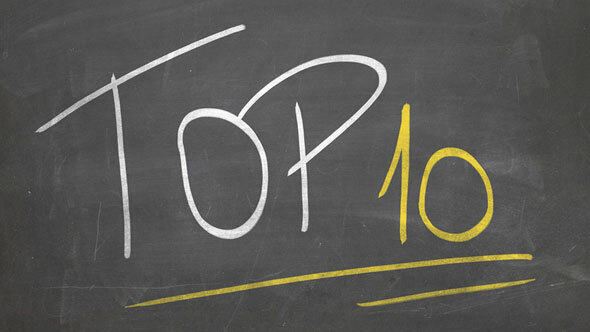 8.U.S. 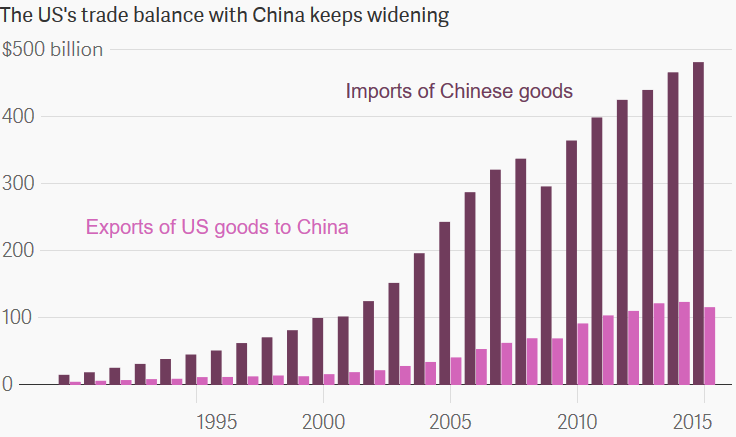 Trade Balance with China Pre-Trump…. Leaves out our most important export to China…The Chinese own $1 trillion of U.S. Debt. 2015-2016 Central Banks Start Selling U.S. Debt. 9.Visions of Things to Come with Twitter President….Dollar Move After Trump Press Conference. 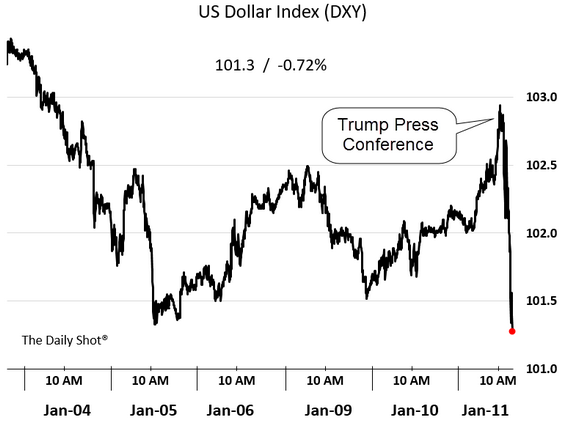 The United States: Trump’s press conference sent the dollar sharply lower as President-elect remained vague on fiscal stimulus. But another ingredient typically goes into the mix: discipline. Take it from these executives who share the daily habits that propelled them to the top and help them stay there. “First, I have four boys between ages 10 and 18, and they pay no attention to traditional media. Their use of social media and how ahead of the curve they are on news, information and trends amazes me, and it informs me. I make it a habit to get a ‘daily download’ from my sons to stay on top of fast moving trends. — Paul Ratoff, author of “Thriving in a Stakeholder World, Purpose as the New Competitive Advantage” and CEO of Strategy Development Group, Inc.
“Even when backed up on emails, I always sit down every day to check that day’s reservations for future moves, that day’s revenues, and that day’s total labor costs. Now that doesn’t encompass a lot of reporting metrics. That doesn’t get me a net profit margin nor take into account any of our overhead. It certainly doesn’t get me a return on equity nor a return on assets. “But I’m a typical entrepreneur that does a few million dollars a year in revenue. I have great support staff, but I don’t have the luxury of a team of consultants to tell me what next quarter’s revenues are likely to be. So that’s why I review my company’s pulse on a daily basis. It’s not meant to break down the latest advertising campaign on Google, tell me how many new hires I’ve made, nor tell me our customer’s satisfaction rating … But if those latter things were to become an issue, the canary in the coal mine is ‘The Pulse’ of my company. — Nicole Smartt, author of “From Receptionist to Boss” and shareholder and vice president of Star Staffing, which is included on Inc’s “5000 Fastest-Growing Companies” list. “Work can be stressful and keeping your cool is always a challenge. Finding a positive outlet to keep you motivated and maintain your confidence — and sanity — is so important. For some, that could be listening to a certain pump-up song. For me, it is fitness and exercise. I have been so fortunate to find the SoulCycle community and take Akin’s Army Bootcamp classes at Bandier.